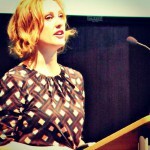 Josie Fraser is a social and educational technologist working at Leicester City Council, in the UK. The Council work in partnership with De Montfort University and 23 city secondary schools on the DigiLit Leicester project, a distributed approach that has a local aim: increasing the ability of local teachers in Leicester to use connected learning methods to support teaching and transform learning. Leicester, in England’s East Midlands, is one of the most ethnically and culturally diverse cities in the UK, with residents coming from over 50 countries from across the globe, One third of the city’s young people live in comparative poverty. Josie Fraser was appointed to her role at Leicester City Council three years ago. “We’re committed to raising achievement, aspiration and opportunity for young people,” she says. Leicester is engaged in a citywide program called Building Schools for the Future. 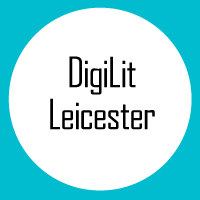 The Digilit Leicester Project focuses on school staff development to ensure learners get the most benefit from the investment in technology being made across the city. Q: How did you convince other policymakers to see the importance of this? A: The City Council were always committed to the idea that the build programme was about more than bricks, mortar and connectivity – that it offers the opportunity for schools across the city to look at their current practice, build on their strengths, and implement new approaches. Colleagues are also really aware of the social, cultural and economic importance of technology confidence and skills. The Council were very supportive of the approach I wanted to take. The projects partnership with De Montfort University helped move the project forward and secure external funding. Professor Richard Hall, the project’s academic lead, and I were able to use the funding to appoint Lucy Atkins as Digital Literacy Research Associate, to work on the project. Q: How did you find the right structure for this project? It seems like a very complex task to raise the digital literacy of an entire city. A: Digital Literacy is a contested category and a sometimes quite inaccessible concept. We’ve not started out with: this is what your school needs to do to make it better. We’re not saying you need to use iPads or certain systems. We worked with schools to identify the ways in which Digital Literacy was most important to their practice. The project situates Digital Literacy in secondary school practice. We know there are fantastic things going on already—our goal is for teachers to get support and support themselves in moving forward. We developed a survey in relation to the framework, as a structured way of answering the question “what does digital literacy look like across the city’s secondary schools?” The survey provided information to individual staff members, as well as at school and city wide level. Q: So it’s almost like a user anthropology—design thinking approach. A: This month we have been feeding back the survey results to schools – meeting with teachers and school leaders to talk about what the survey results indicate at school level and city wide – and what the team’s recommendations are based on the data. The survey results will be used to program workshops and events that we run centrally, and to frame school led activities and projects. Q: So what did your discovery process find? Digital literacy is relevant to every citizen, but the project identifies the key areas of digital literacy that are specific to secondary school teachers. Q: What’s happening specifically with e-safety and online identity? A: More schools are looking at the potential use of social media, social network environments, blogging, wikis. This is great news – it means schools are able to make use of technologies to support collaborative and open practice. Web based technologies provide schools with reputation and liability issues they might not have previously have had to consider. It’s a big cultural shift we’re supporting, in terms of the areas schools are wanting to engage with. Q: We talked at the symposium about the special concerns of open learning that’s situated in a physical community. What concerns are specific to your in-person community and cultural context? A: The students in the city, typical of the UK in general, are very connected. Youth rates for mobile phone ownership are very high. Most of our learners are online and on social networks. But we do have very small number of learners who do not have internet or device access outside of the school setting. So one of the concerns of the project, is to ensure that schools are supporting disadvantaged learners in the development of their own digital literacy – since they may not be able to get this support anywhere else. Q: What areas do education professionals themselves identify as needing the most help? A: I would characterize the city as an extremely confident one, but with a significant minority of staff members who would benefit from help and support. Drilling down into the data, the areas where staff are not as confident are the relatively new approaches. Using technology to manage and drive professional development, through personal learning networks, social media, and social networking, is still not mainstream in the school sector. Another area highlighted by the data is that school staff are not as aware of open educational resources (OERS) as they could be. They don’t know as much about open licensing, and about finding, using and creating OERs. So we’re certainly going to be doing more work on that. If they don’t know what resources are out there they’re not going to use them. Q: Ed-tech programs in schools in the US are often focused on devices and infrastructure, with professional development as an afterthought. It sounds like The DigiLit Leicester Project is doing the opposite with this focus on local capacity-building. A: The BSF Programme is investing heavily in infrastructure to support flexible use of technologies and to support future expansion of use of technology to support learning, and we are certainly equipping schools with devices! Without support for staff development, the potential of any investment in technology will not be fully realised, and opportunities will be wasted. The DigiLit Leicester project helps schools clearly identify how they could take staff development forward, and supports staff members and schools in taking ownership of their development. We are also supporting staff and schools in supporting each other – and the promotion of open practice is an important way of doing this.